A new bot application has been released: the Greeter app. It comes free with a Personal Bot. We’ve released a new Alive Module: Local Chat. 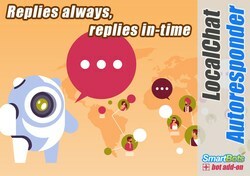 It allows your bot accessing its local chat. 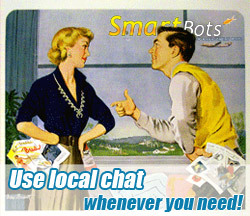 The bot’s local chat control becomes available in your SmartBots web account, so you can read messages and talk with nearby avatars via your personal bot. All messages are being saved even if you are offline yourself! 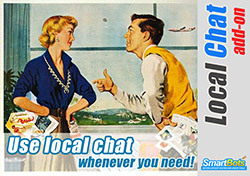 Local Chat module has been designed to support your visitors without logging to Second Life. It is also a great way to monitor your office surroundings! The module can be bought in a Bot Store. Take a look at module’s documentation page for more info and examples.